At The Word of The Lord! In John 5 we read the account of a certain man by the pool of Bethesda. A man who had been on a mat, suffering for 38 years. Jesus, Healer, intervenes in his story and asks him, “Do you want to be made well?” After giving excuses as to why he hasn’t been able to be made well yet, the man hears Jesus say some pretty remarkable things. “Rise. Take up your mat. And walk.” (Verse 8) Wow! And you know what’s next? That man stood. That man picked up his mat. And that man walked. Victory! Healing! Freedom from the thing that held him down! There are so many things worth studying and exploring in this passage of Scripture. I would just like to point out this: it was at the Word of the Lord that the man rose, took up his mat, and walked. Immediately, it says! Right away! The Word of God is that powerful. For this certain man. For me. For you. The man obviously didn’t have it in himself to be healed. Others hadn’t been able to get the job done either. But Jesus—He had all this man needed. And when Jesus spoke, everything changed. May we allow the Word of God to change us. It is powerful. It is mighty to pull down anything that has a strong hold on you. Whatever the strong thing was that kept this man pinned to the mat for 38 years, the Word if God broke it right off of him. Cured it. Healed it. Delivered him. The Word of God has the power to do that for us today. 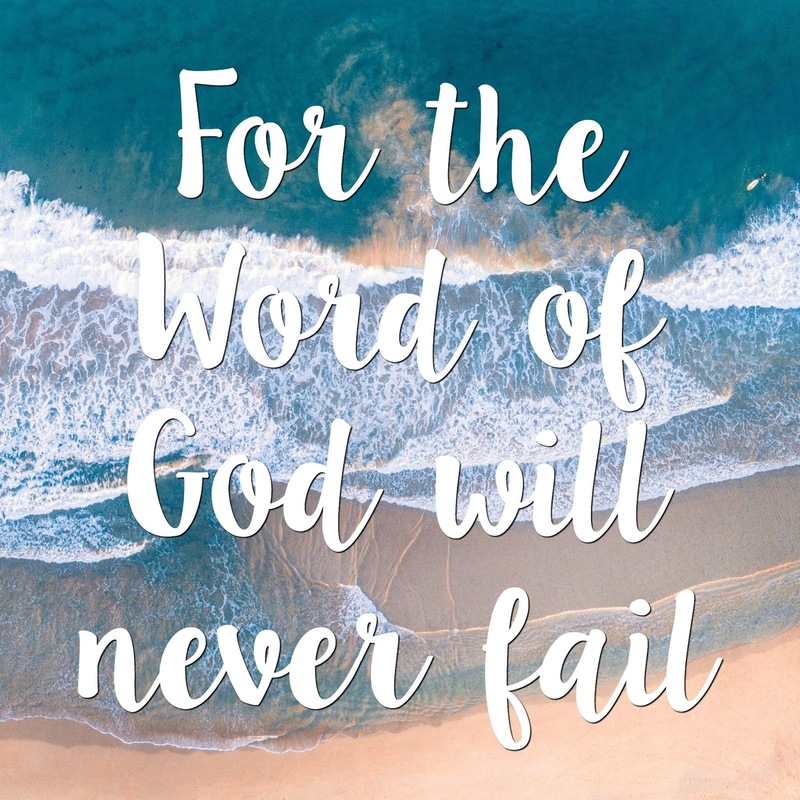 Luke 1:37 tells us “For the Word of God will never fail.” It’s true! It’s living and active and able to work right this minute in your life! Still going strong. Still undefeated, still unshakable, still oh so powerful. Let Jesus intervene in your story, in your hard thing. Listen to Him speak. Let Him change everything. He never fails. I am so excited for this new season. 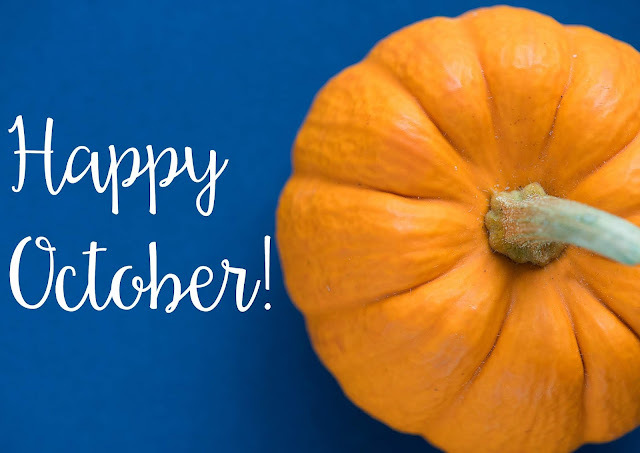 Fall...October...all the goodness coming with holidays and celebration. It’s the best! This season seems full of hope and anticipation and excitement of all the happy things to come. That’s how I feel about it. In fact, I think that’s how I feel about every new month, every new season. The newness of it sparks my enthusiasm. The whole remnant. In other words, everyone! God sparked the enthusiasm of everyone! Because they began to obey Him. I encourage you today to begin. Begin this new month with a heart for God. Begin to obey Him. Get into His Word, the Bible, and see what He has to say. People ask me all the time where in this big Book to start and I always tell them what I did when I first came to know Jesus. I started in John and learned all about Jesus and the Gospel. If you haven’t read this in a while, it’s a good re-starting point as well. I find it so very encouraging that God blessed them, sparked their enthusiasm, at the beginning. At the start. He didn’t wait til all the work of rebuilding was finished. Not even til the halfway point. He blessed their beginning. I’m with you in these new beginnings. Happy October!